If there’s been one polarizing feature of iOS 5, beyond the Notification Center that just won’t stop notifying, and a battery issue that drains juice faster than a 4G Android phone, it’s the lack of an iPod app. For some reason only known to those inside 1 Infinite Loop, Apple decided to do away with the iPod app we’ve all come to love since the very first iPhone debuted in 2007. In the process, the engineers at Apple took the iPod app’s two uses, for video and music, and turned them into their own respective apps. It’s all very odd really, considering Apple’s love of cutting down clutter – they’ve effectively created an app that doesn’t need to exist! Why have one app when you can have two, right? Many people have asked why Apple made the change, and to be absolutely frank, we’ve no idea. We’re sure someone at Apple thought it was a good idea, and they might have had some very valid reasons. Until we know what they were though, we’re going to assume they either lost a wager, or they were on to something which they probably shouldn’t. That said, there’s always a way around these things, and Apple’s two-apps-for-the-price-of-one madness is no different – so long as you don’t mind jailbreaking. You don’t mind jailbreaking, do you? 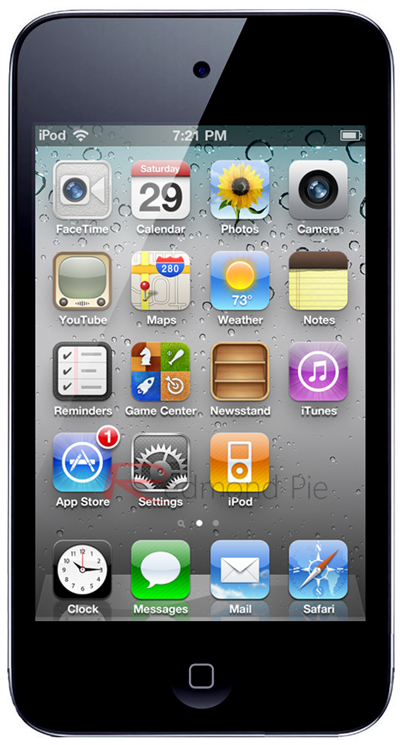 Unified iPod for iOS 5 is, as the name might suggest, a jailbreak tweak for – you guess it – iOS 5 that turns the aforementioned Music and Video apps into the one, lovely iPod app. Why? Because it’s the right thing to do! Just as wonderful is the price. 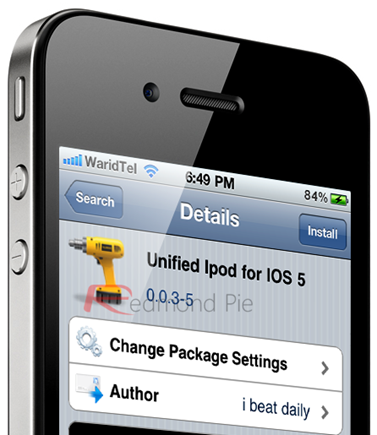 Unified iPod for iOS 5 costs absolutely nothing, and is available to download right now from the Cydia jailbreak store under the ModMyi repo. Obviously this tweak need iOS 5 to work, but really, why would you install it if you didn’t have iOS 5 on your iPhone? The downside is that Unified iPod for iOS 5 us currently only compatible with the iPhone and iPod touch, though we do hope iPad support will be added some time in the future.